Canada Wills, Gifts & Trusts . Ready for immediate use. 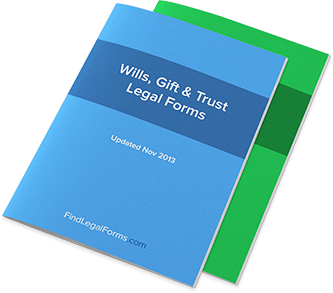 Various forms for use when creating or maintaining a will, gift or trust. Documents used to amend, affirm and maintain a will. Will - Common Law Spouse Without Children (Canada) Will made by a person living with common law without children. Attesting Affadavit to Codicil (Canada) This Attesting Affidavit to Codicil is an affidavit by a witness attesting to the fact that they witnessed the testator sign the codicil. Attesting Affadavit to Will (Canada) Affidavit by an individual that they witnessed a Will being signed (for use in Ontario only). Codicil (Canada) Written document by which someone makes a change to their Will. Ontario only. Renunciation of Inheritance (Canada) Renunciation by an heir of the deceased of all rights to share in the estate of the deceased. Acceptance of a Gift (Canada) Simple form where the person receiving a gift (the transferee) accepts the gift. Declaration of Gift (Canada) Declaration of a gift from a tansferor of the gift to a transferee of the gift. Declaration of Trust - Property (Canada) Declaration by trustee that he or she holds a real estate property in trust for someone else (the beneficiary). Declaration of Trust - Share (Canada) Declaration by trustee that he or she holds a stock in trust for someone else (the beneficiary). Renunciation of Gift (Canada) Renunciation of a gift made by a transferee (person who originally received the gift) of the gift. Children and Grandchildren Wills designed specifically for persons with children or grandchildren that are to be included in the Will. Conditional Gifts - Wills These wills include conditions (e.g. must stay off drugs) before a gift is passed down. Debt Forgiveness - Will Wills with provisions regarding the forgiveness of debts owed to the testator. Home and Personal Articles - Wills Wills with provisions regarding the testator's home and personal articles. Multiple Executors - Wills Wills designed for those situations where there are multiple executors. Simple Wills These wills are designed for simplicity and ease of use. Special Signing Provisions - Wills Wills designed for situations when the testator may have trouble signing or reading the will (e.g. blind or illiterate). Specific Bequests and Charities - Wills Wills designed for those situations where the testator would like to bequest specific items to specific recepients. Wills Specifically for Married Individuals Various wills designed for married or soon to be married individuals. Wills Specifically for Single Persons Various wills specifically desgined for single, non-married individuals, including previously married individuals.